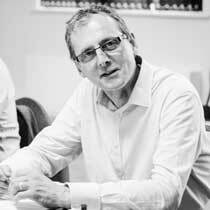 Rob has over 20 years experience as a Project Architect, of which over 18 have been at Senior Associate/Director level. His experience has been in two commercial architectural practices, which have provided experience in a wide range of projects, including Healthcare, Residential, Retail, Industrial, Transport, Sports and Commercial development. Rob was made a Senior Associate in 2007. He has particularly strong skills in design solutions, construction detailing and is actively involved with staff mentoring.